Should You Wear Black Shoes With a Brown Belt? ...Or brown shoes with a black belt? We don’t consider ourselves to be sticklers for “the rules,” but when it comes to the question of matching your shoes to your belt when wearing a suit, we’re traditionalists. Why? The answer has to do with the very definition of a suit. 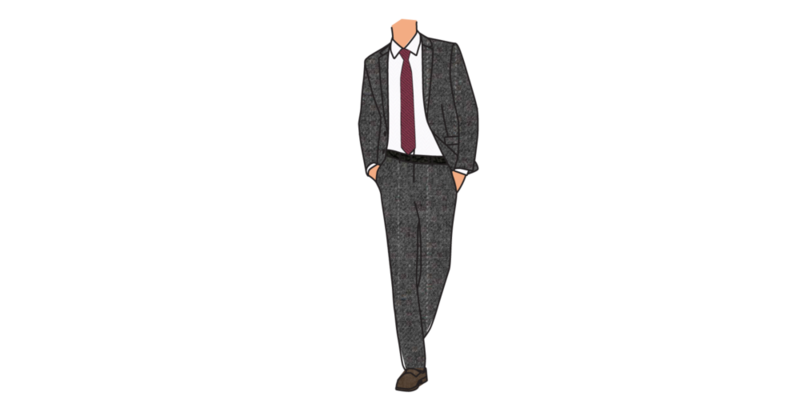 A suit is a jacket and a pair of trousers made from the same cloth. That sameness of fabric, color, and pattern creates a “clean” line from the top of your shoulders to the start of your feet. 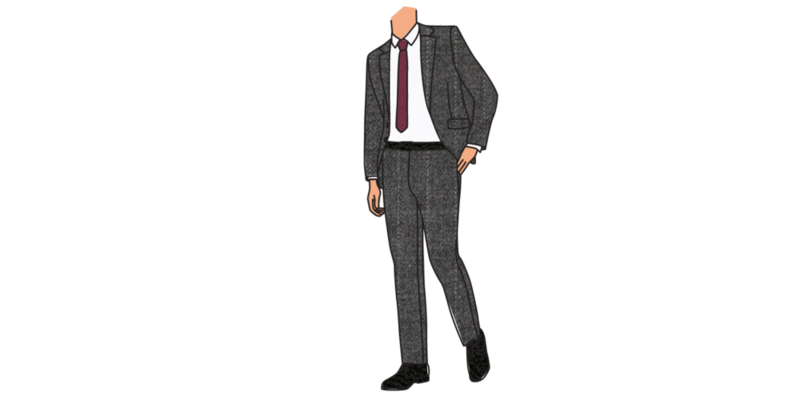 That visual unity is what gives suits their formal appeal and flattering physical effect. The problem with wearing a belt and a pair of shoes in different hues is that they break up that visual harmony. Because they are clashing colors, they each pull the eye in different directions—spoiling the suit’s visual unity. As a test, consider the images below. Do the belt and shoes pop out at you? ….And brown shoes with brown belts. That way, your belt and shoes can appear as one harmonious element in your suit, rather than competing distractions. Notice how in the images below, the belt and shoes feel subdued, blending into the suit rather than jumping out on their own.